^ 所安, 宇文 (2006). 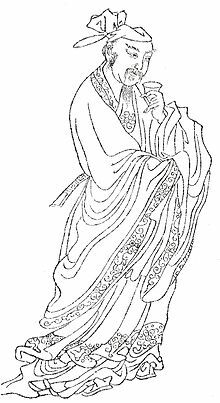 The Late Tang: Chinese Poetry of the Mid-Ninth Century (827-860). Harvard University Asia Center. p. 260. ISBN 978-0-674-03328-3. ^ Owen, Stephen (2006). The Late Tang: Chinese Poetry of the Mid-Ninth Century (827-860). Harvard University Asia Center. p. 271-272. ISBN 978-0-674-03328-3. ^ Owen, Stephen (2006). The Late Tang: Chinese Poetry of the Mid-Ninth Century (827-860). Harvard University Asia Center. p. 289. ISBN 978-0-674-03328-3. ^ Red Pine, Poems of the Masters, Copper Canyon Press, 2003. Francis, Mark. Running Under the Ice: Fifty Selected Poems by Du Mu. Oxcidental Press 2012. ISBN 978-1-4681-2831-4.